Good ideas can change the world. 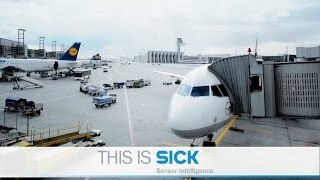 At SICK, specialists from a range of disciplines work together with dedication and commitment to continue setting innovative standards with their sensor solutions: from invention through development and on to successful roll-out in the international markets. With a global workforce of more than 8,000 employees and more than 50 subsidiaries and holdings, we are a global market and technology leader in the field of sensor electronics for factory, logistics and process automation. We are always looking for qualified people who are interested in working in a challenging, team oriented environment. SICK offers competitive pay, excellent benefits and the opportunity to grow with our company. If you are interested in a fulfilling career with SICK, please see the postings and apply online. SICK is an Equal Employment Opportunity/Affirmative Action employer: women, minorities, protected veterans, individuals with disabilities.